Did you know that January 11, 2018 was the first Snow Day of the Year??? Buses were cancelled on Thursday and The School Age children had a blast playing in the snow, sledding and snow shoeing! The Children’s Place and Megan’s Place Nominated as Finalists for Best Childcare Centre for the 2018 Faces of Ottawa Awards!!! We are so excited to share that we have been nominated as Finalists for Best Childcare Centre for the 2018 Faces of Ottawa Awards!!! 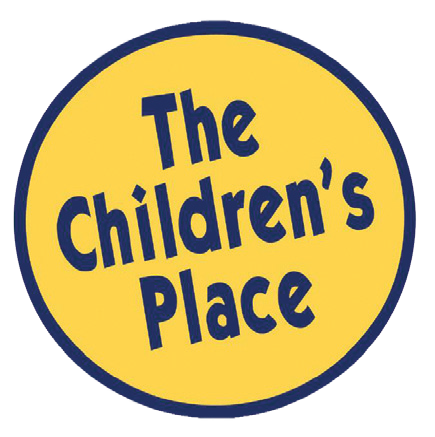 Vote for The Children’s Place and Megan’s Place at http://www.facesmag.ca/awards These Awards are 100% People’s Choice – the winners are simply those who receive the most votes in each category – you can vote once per day per IP address between Jan. 3 and Jan. 24th – winners will be announced at the event on January 27th Please help us by voting every day and thank you all for your support! Did you know that each year The Children’s Place hosts a Holiday Dinner for all of our families and friends to gather together and enjoy??? Did you know that we are having record high temperatures… But as you’ve seen from this past weekend’s storm, winter is just around the corner! Please make sure to bring in appropriate winter clothing that are all labelled with your child’s name (Winter coats, snow pants, mittens, hats and boots). Four Crucial Ways Playing Outdoors in Winter Benefits Children By Rachelle Gaynor, Accuweather.com Staff Writer February 09, 2015, 6:03:52 AM EST During the warm spring and summer months, it seems natural to allow children to play outside. However, when winter comes along, parents may be more hesitant to send children outside…. Did you know that December 8th is the last day for Angel Tree Donations? Again this year, The Children’s Place and it’s families will be assisting The Kanata Food Cupboard in providing children in our community with a joyous Christmas. Please feel free to pick an Angel from Our Angel Tree! Please return the unwrapped gift by Friday, December 8th. We would like to thank you in advance for your support and generosity! Playing with play dough supports development and learning in many different areas. When children use play dough, they are exploring different ideas, using their creativity and imagination as well as practicing skills such as turn taking and sharing, fine motor development and social development through play. Did you know that homemade play dough should be cooked? http://www.healthycanadians.gc.ca/recall-alert-rappel-avis/hc-sc/2017/63752a-eng.php Mix all the ingredients in a saucepan and stir over medium heat for 3-5 minutes, until the mixture congeals. 2 tbs Cooking oil. 4 tbs Cream of Tartar. 2 cups Plain flour. 1 cup Salt. Food colouring. 2 cups water.